PALO ALTO, Calif. - Sept. 26, 2017 -- The Open Source Initiative ® (OSI) the global non-profit dedicated to promoting and protecting open source software through education, collaboration, and infrastructure, announced today that Microsoft has joined the organization as a Premium Sponsor. Microsoft's history with the OSI dates back to 2005 with the submission of the Microsoft Community License, then again in August of 2007 with the submission of the Microsoft Permissive License. For many in the open source software community, it was Microsoft's release of .NET in 2014 under an open source license that may fave first caught their attention. Microsoft has increasingly participated in open source projects and communities as users, contributors, and creators, and has released even more open source products like Visual Studio Code and Typescript. The company is a leading contributor to open source software projects on GitHub (also an OSI Corporate Sponsor); brought Bash/Linux to Windows 10; expanded its support for Linux and open source workloads on Azure; worked with OSI Affiliate Member FreeBSD Foundation to support the operating system on Azure; joined OSI Affiliate Member Linux Foundation and many of its foundations and projects. In addition, Microsoft works with companies like Canonical, Red Hat, SUSE, and open source can now be found throughout Microsoft products. "This is a significant milestone for the OSI and the open source software movement more broadly," said Patrick Masson, OSI General Manager and Board Director. "I don't think there could be any greater testament to the maturity, viability, interest, and success of open source software than not only Microsoft's recognition, but also their support as a sponsor, as well as their participation as contributors to so many open source projects and communities." "The work that Open Source Initiative does is vital to the evolution and success of open source as a first-class element in the software industry. As Microsoft engages with open source communities more broadly and deeply, we are excited to support the Open Source Initiative's efforts," said Jeff McAffer, Director of Microsoft's Open Source Programs Office. OSI Corporate Sponsorship provides funding to support a variety of unique initiatives dedicated to the promotion and protection of open source software and the communities that develop it. The OSI understands corporate use of open source software, and participation within its development communities, is vital to the movement's overall success. The corporate sponsorship program provides an open and transparent mechanism, allowing companies to show support for open source software, the community, and the activities of the OSI. Donations allow the organization to continue its mission of education, advocacy, bridge-building, and of course, its license certification programs and stewardship of the Open Source Definition. 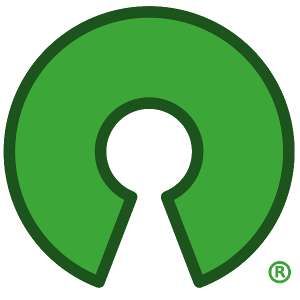 Founded in 1998, the Open Source Initiative (OSI) protects and promotes open source software, development and communities, championing software freedom in society through education, collaboration, and infrastructure, stewarding the Open Source Definition, and preventing abuse of the ideals and ethos inherent to the open source movement. The OSI is a California public benefit corporation, with 501(c)(3) tax-exempt status. For more information about the OSI, or to learn how to become a sponsor, please visit: https://opensource.org or contact osi@opensource.org. For more information about Microsoft's open source activities, see https://opensource.microsoft.com or contact opensource@microsoft.com.